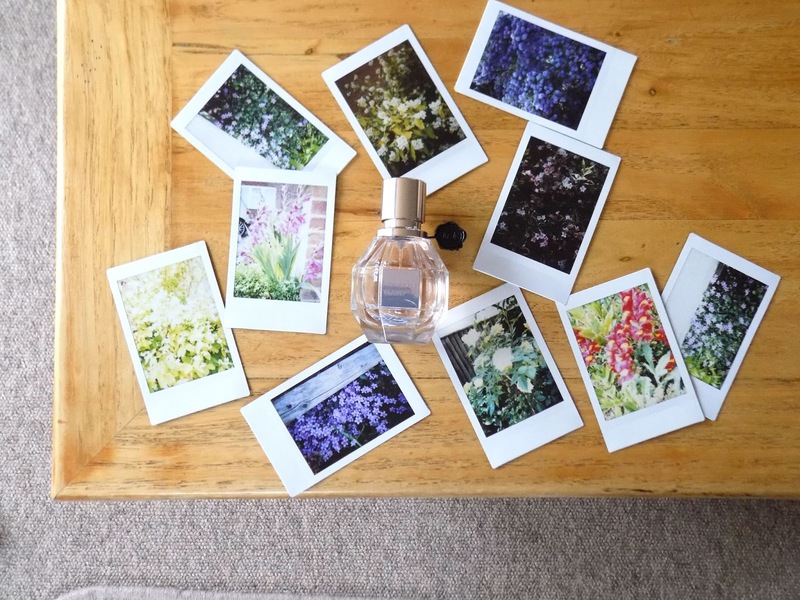 Although I am away in a little cottage in the countryside enjoying sunsets, archers and lemonade and taking lot's of photos, I still wanted to get my May Faves up promptly as I have loads of amazing things to share with you. The place I am staying in had so many amazing photo-ready shots that I just couldn't pass it up, now could I? So I'm working with what I got. Here's my favourites from this month. 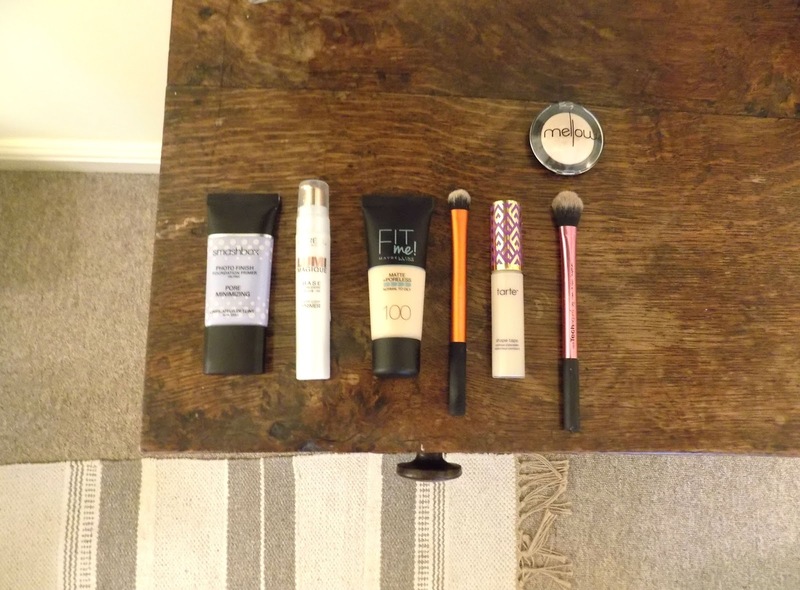 Starting off with makeup and the complexion. I've been using the Smashbox PhotoFinish Pore Minimizing Primer which has been around for a long time in the beauty world, but in my makeup stash, it's been a new addition and I am loving it. I'll be honest, it doesn't do amazing things for my pores, it definitely smoothes them over and I have no issues with makeup clinging to dry patches around my nose any more which is amazing. I also love how it feels and how makeup applies over the top of it. 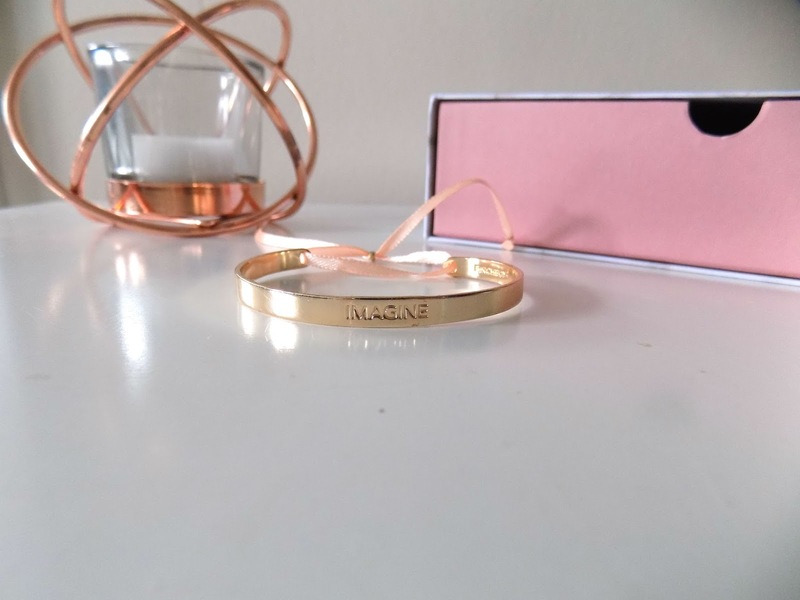 The other primer I have been obsessed with this month is the L'Oreal Lumi Magique Primer which is an old fave that I have rediscovered this month. 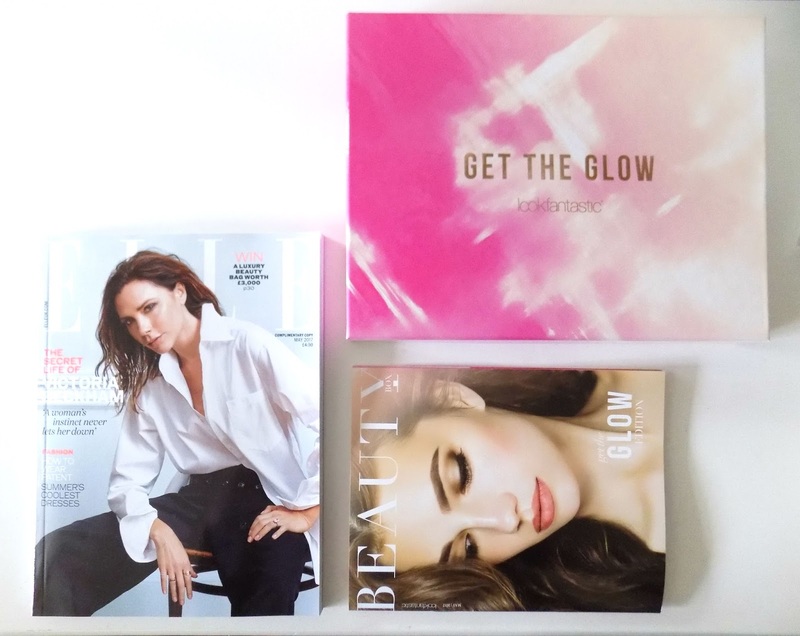 If you want glow, this is the primer for you. I like to use it on the high points of my face and it keeps my glow on all day. It's been super hot in the UK this month so I've not been putting this all over my face, but on the bits that I want to glow, it's a godsend. I've not been wearing much foundation recently, but I did discover that a cult drugstore foundation had a light enough shade to match my fair skin, that is the Maybelline Matte + Poreless Foundation and so I just had to pick it up and I have chosen to wear it a few times a week to get my skin used to foundation again and it's a great foundation. It's a great shade, I love that they have a lot more shades, this is the lightest yellow toned, but they have pink toned one too. I can see why so many people love it, but I definitely think it's worth you picking up if you can get your hands on it. The packaging is different to the US version but I think the squeezy tube is a lot better personally. If you've seen my Is It Worth It? post on the Tarte Shape Tape Concealer then you will know I don't understand the hype and wasn't massively impressed with it, however I have been using it in other areas in my face, and using a tiny bit on my Real Techniques Expert Concealer Brush to add coverage right on the inner corner where my dark circles are their darkest and it's been working beautifully. Although I stick by the post I did, it's growing on me and it's still a good concealer. Isn't she just beautiful? This little beauty from Mellow was in this months Look Fantastic Box and I have to say it's just stunning. The highlight power is amazing, the finish, texture and how it wears and lasts on the skin is beautiful. I've been using the real Techniques Setting Brush as it gives the perfect amount of pigment with a precise application. It's also beautiful if you spray the brush with a setting spray and then apply the highlight. Blinding highlight every time. It's great as an eyeshadow, inner corner highlight, brow bone highlight. If you can get your hands on this, it's worth it. Just in case this is the first post of mine you have found, I am a huge fan of the Zoeva Palettes. HUGE. But I have been using some new ones this month and I am totally obsessed and cannot stop raving about them and recommending them to everyone. The first one is the new-ish Matte Palette which has some beautiful matte (obviously) shades with a mix of cool and warm tones. 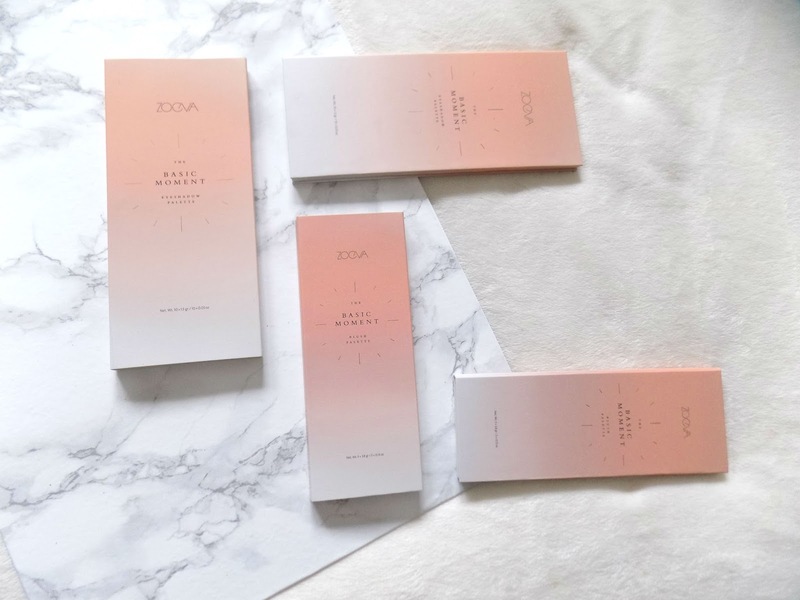 Zoeva do eyeshadow​ very well and their mattes are no exception. They're pigmented, super easy to blend, and last all day. But the palettes that have got me all excited this month are the brand new The Basic Moment Palettes. The eyeshadow palette has 10 beautiful matte and shimmery shades. I really like how it's set up as the mattes are on the left, and the shimmers are on the right, similar to how the Lorac Pro Palettes. They also brought out a Cheek palette which has a bronzer, blush and highlight, all absolutely stunning and wear really well on the cheeks. I love the bronzer shade to add a sun-kissed look to my skin. I have been using the Real Techniques Bold Metals Brush to apply as it's big but it applies product just where I want it. The highlight is a beautiful gold which I've been using as an eyeshadow as well and it's just stunning. The blush isn't a shade I would normally wear but it really brightens up my complexion and is a great peachy pink tone that looks amazing in the Spring and Summer. The brush I have been enjoying to apply my blush with is the ELF Blush Brush, which is a great shape and applies it right on the apples of the cheeks and blends backwards with just one motion. I love that about this and although it's not the softest, until I find one of similar shape and does what I need, this is what I am going for right now. I've also dug back in to the Rose Golden Cheek Palette which has a perfect contour shade for my fair skin. I've been using the Real Techniques Bold Metals Brush to apply the contour which gets right into the hollows of my cheeks and blends it out perfectly because of it's tapered point. As for skincare and my other favourites, first off I have really enjoyed the The Body Shop Drops Of Youth Liquid Peel this month. The range itself has great benefits, some of which are that it helps protect your skin against external aggressors like pollutants, great if you live in a city. But this liquid peel doesn't have exfoliating beads or particles in it, but it does a very strange thing in that as you rub in the gel into your skin, it creates solids which is your dead skin cells coming off your skin. A gentle way to exfoliate and better for the environment. Although seeing your dead skin in the sink isn't too pleasant, but it's worth it as my skin feels so soft and smooth after using it. Another skincare product that smooths my skin is the Oskia Renaissance Mask. I've been very selective about the skincare products I use recently, especially masks, but this always makes the cut as it's such a great mask. My skin glows after using it, it's smooth and soft and it only takes like 10 minutes. This is a sample size which I bought away with me but I have the full size as well. Now that more skin is on show, I've upped my lotion game and I've gone back to an old fave, the Vaseline Cocoa Butter Lotion but for those super lazy days, the Spray & Go Spray is also an essential. As for nails, the only polish that's been on my nails is the Rimmel Gel Nail Polish in Flamenco Beach topped off with the Seche Vite which is an amazing fast drying topcoat that keeps my nails shiny and looking awesome. I love this bright red colour especially for Spring and Summer and I've not been bothered about any other nail colours. As for the other bits and pieces, I've got a few of my birthday gifts that I've obviously been using and loving. 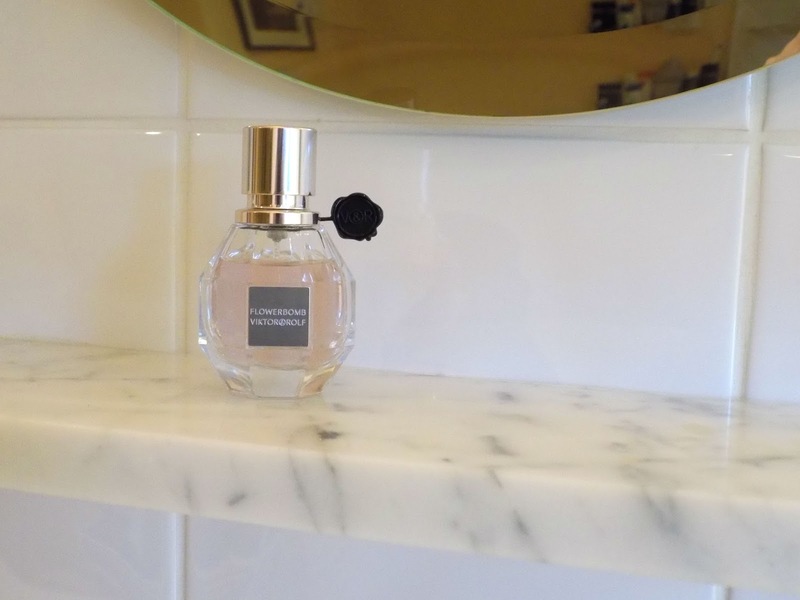 First off is the Victor & Rolf Flowerbomb Perfume which I have already uploaded a review on. This is a stunning fragrance and I highly recommend to those of you, like myself that doesn't really like too heavily floral scents. It's amazing and definitely worth the slightly hefty price tag that comes with it. I have also been loving some of the jewellery pieces I received too. First are the beautiful Pandora Earrings which I got from my brother and sister in law. They're the perfect everyday earring but also great with a simple more dressy occasion. Then the long necklace which has a crystal on the end I received from my amazing Nephew Zackary. It's great again with a simple casual outfit but also more of a dressy one too. I have worn it just as it is but I've also doubled it over and wear it as a layered effect that hits just below my collar bones. A great versatile piece. The other jewellery piece isn't actually from this Birthday but last year I think, and it's this beautiful Rose Gold Wing & Heart Charm from Pandora. I really like how the mixed metals looks with such a simple piece. It's definitely a fave in my jewellery collection right now. The final birthday gift I received is from my parents and that is the tablet. I used to have an iPad which I used to watch Netflix and due to circumstances out of my control I had to get rid, but I didn't realise how much I missed having a tablet until I got this one. It's an Acer Iconic I think, and it does great for what I need. Alright now for some movies and the first one was the Beauty & The Beast Movie with Emma Watson and I have to say it's an amazing movie, exceeded my expectations and they just did an amazing job on it. What I was really surprised about is my local cinema has had a revamp (it had been a long time since I've been to this one in particular) but they have reclining leather chairs and tonnes of leg room. Definitely a much more pleasant experience and much more comfy. I also went to see Guardians Of The Galaxy 2 as it was such a great experience the first time and this and this was a great movie. I had only watched the first one a week prior to seeing this one but I think they're both great movies and I really hope they do another one. I did go to see the new Alien: The Covenant movie but it wasn't as good as I was hoping. But it's definitely worth having a look for a Showcase Cinema De Lux near you, you won't be disappointed. Here is my warning. 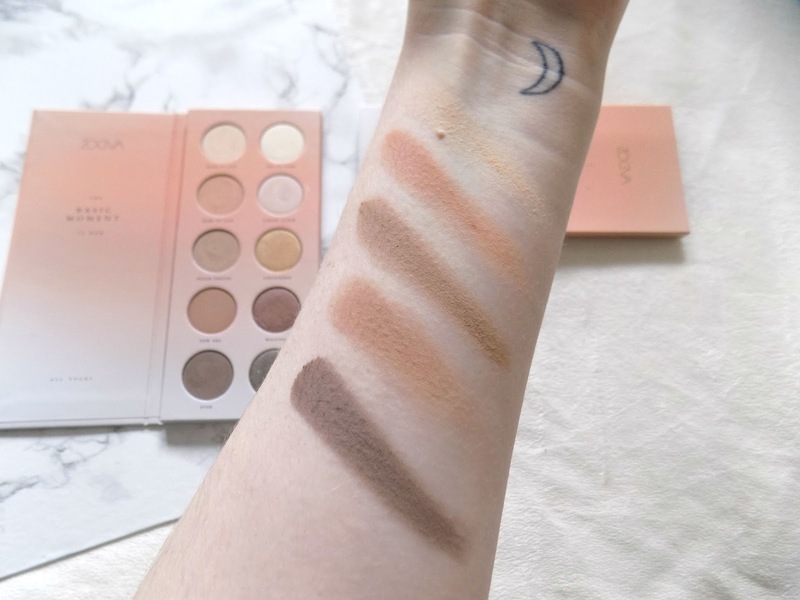 This is a rave review, including swatches, lots of gushing about how amazing these palettes are, a lot of "they're just so beautiful"'s and well, some details about them at the end maybe. If that sounds like your kind of thing then keep reading, if not, I have other posts which may be more suited to what you`re looking for. 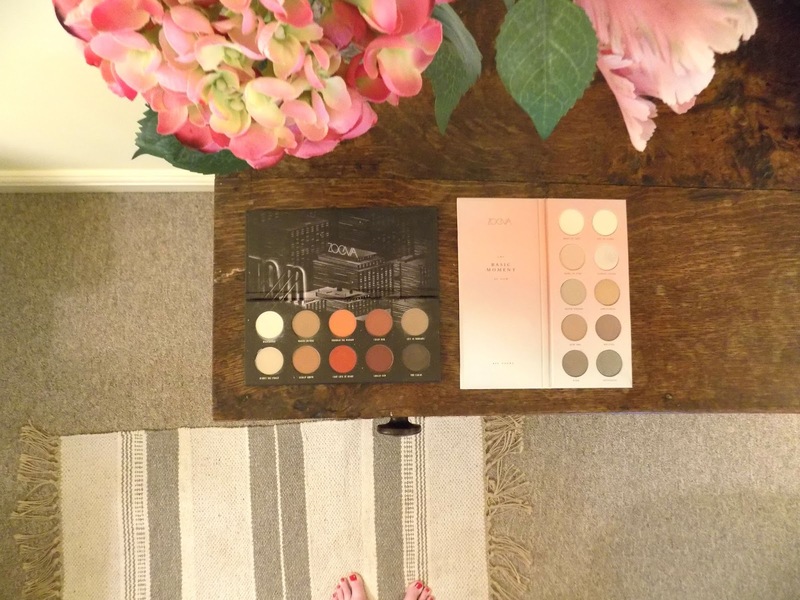 I wanted to get this post up the day I got these palettes but looking after a one year old means sacrifices have to be made. But it's here now and I'm so excited to share with you these amazing new palettes. 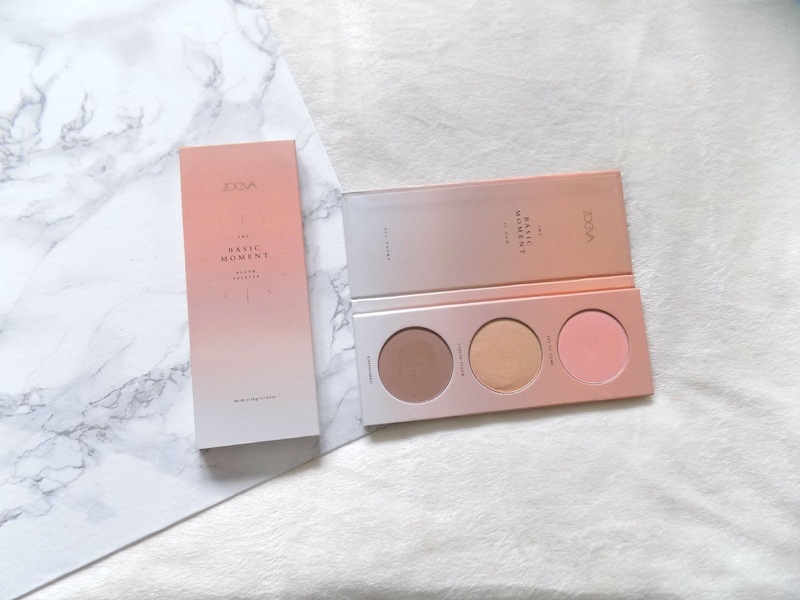 I've been hoping Zoeva came out with another of these cheek trios for a while as the Rose Golden one is beautiful. Okay, let's tell you what I'm talking about shall we? 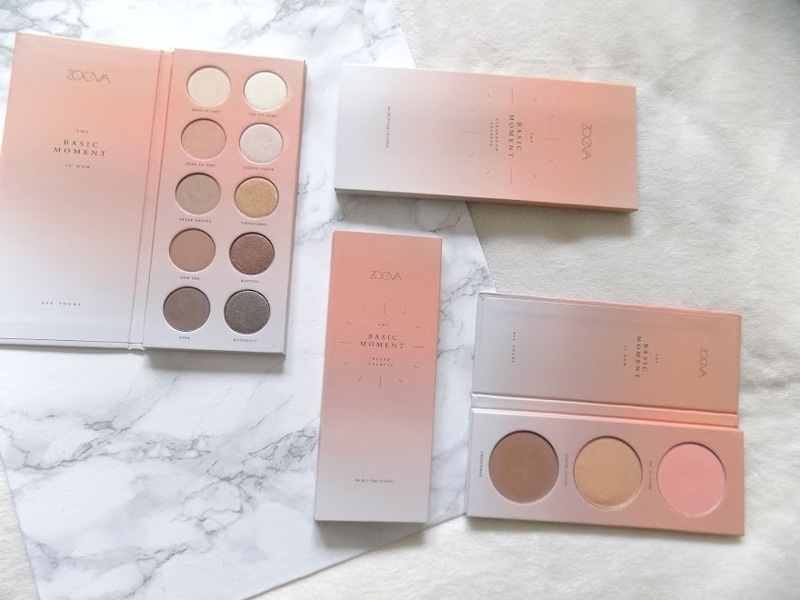 The Zoeva The Basic Moment Palettes were released this Monday 15th May, I got my mitts on them as soon as possible and they only took 3 days to get from Germany to my doorstep. I really do rate their delivery system, I've never had an issue with their standard postage. Like with all their palettes, they're sleek, perfect to travel with and have everything you need. They are cardboard, but have a magnetic closure which is great and means you won't have any accidents if you keep it in your makeup bag or travel bag. In terms of sizes, the eyeshadows are their standard size of 1.5g/0.05oz. The Cheek products are 3.8g/0.13oz. pretty decent sizes but I don't think these palettes can do anything wrong in my eyes so yes, I'm bias but I'm honest. In comparison to some other products. MAC, Morphe and Makeup Geek Eyeshadow Pans are all 1.5g. As for the cheek powders, yes they are on the small size, Tarte Amazonian Clay Blushes are 5.6g, TheBalm Mary-LouManizer is 8.5g, Becca Shimmering Skin Perfectors are 8g. So they're small but they're not as expensive so buying a backup is within my power if I notice I'm getting through them particularly fast. The price for the Eyeshadow Palette is £17.50 and the Cheek Palette is £12.50. For the quality and everything that makes me love this brand and their products, these palettes are 100% worth it and I would pay twice that for these products. 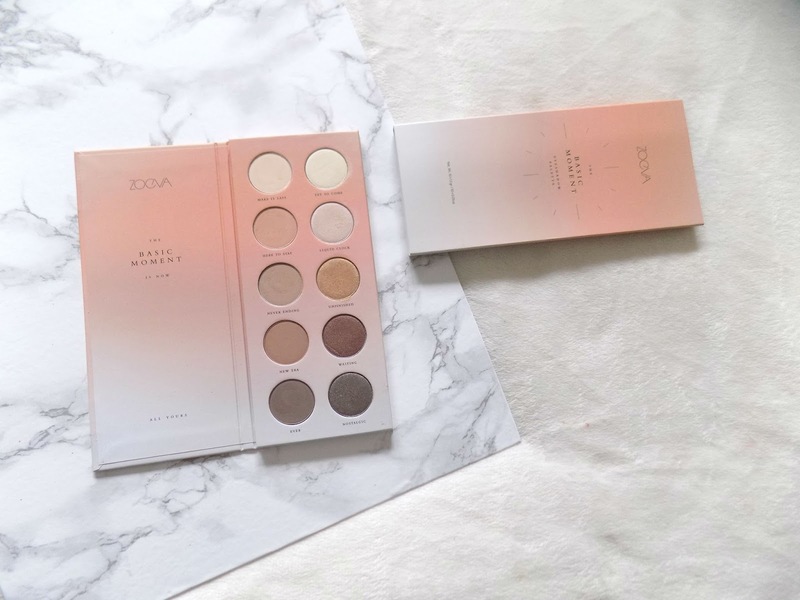 The quality of Zoeva palettes are amazing anyway, but in these two, they're just amazing, so soft and buttery but pigmented, blendable and long lasting. I can't even explain how much I love these shadows. The cheek products look smooth and natural on the skin, they don't look like powders sitting on top of the skin which make me love them even more which I didn't think was possible. Zoeva products are one of the only products that lasts all day on my face and eyes and these do not disappoint. No creasing with the eyeshadow, they fade slightly but in a way that doesn't ruin my entire makeup look. The cheek products fade in a natural way, they're pigmented but not too much to the point where you get a streak of colour on your cheek. The shade selection is perfect, as the name would suggest, it's all the basic shades everyone needs in their collection. 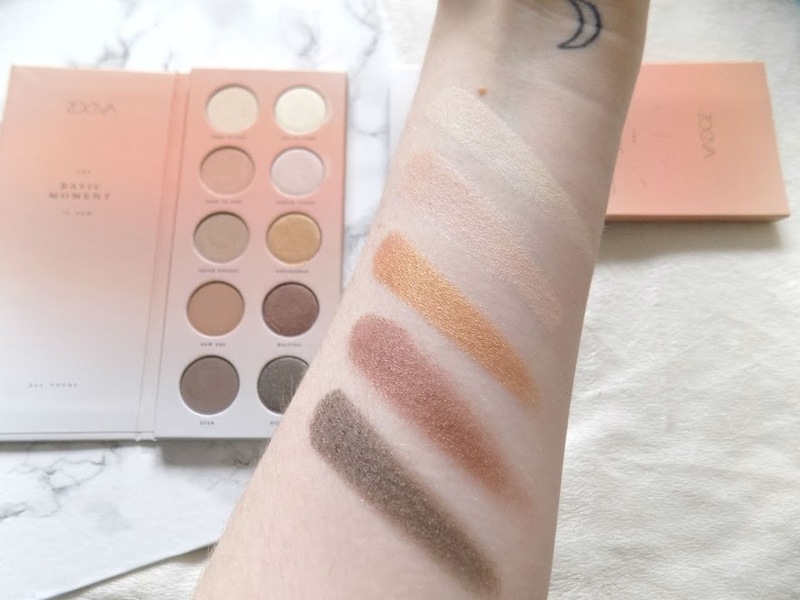 I really like how they've set up this Eyeshadow palette, 5 mattes and 5 shimmers ranging from light neutral tones to some beautiful shimmery shades that would look stunning in a day or night time look. Everything you need to create a beautiful look, from a vanilla base shade to a transition, to deepening up the crease and outer corner. They're all consistent, no patchy-ness, no discrepancies between the mattes and the shimmers. 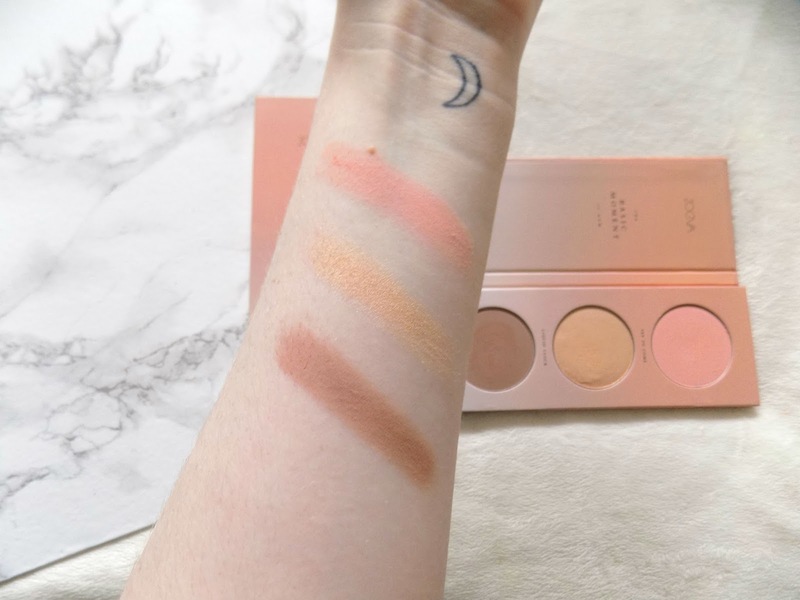 The shades selected in the cheek palette really surprised me as I didn't think all of them would work for my skin tone and personal preferences, but they exceeded my expectations. 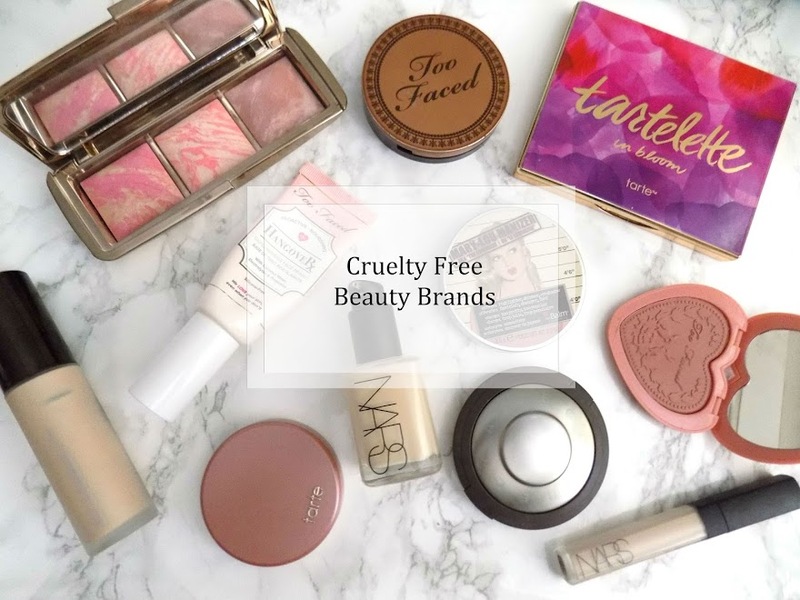 They look amazing on the skin and I just cannot believe that these are affordable products. It's just crazy to me. The bronzer/contour is exactly that. The first time I used it I contoured with it and it looked so pretty on my skin tone even though I'm as pale as snow white. The highlight looks way to gold but in fact it's a beautiful highlight, it's pigmented and has such a pretty sheen to the skin. It's not subtle and it's not the most blinding highlight I've used but it can be built up and also sheered out for a natural glow. Definitely something I was lacking from my collection - In the eyes of a beauty lover that really means I have others similar (that look identical) but aren't exactly like this one. As for the blush, upon first glance it looks way to pink and coral for my skin tone but I actually really love how it brightens up my complexion, gives me a healthy look to my cheeks and is just a beautiful matte but creamy texture. In case you haven't​ already gathered, I absolutely love these palettes. They're my new favourites, I've not picked up other palettes since receiving them and I don't think I will any time soon. I highly recommend picking these up if you can get your hands on them. You won't regret it. With the words Get The Glow on the box, I knew what would be inside would be awesome. Some things that I wasn't sure about when first opening the box but now I've researched them a bit more I am keen to try them. So let's get in to what's in this beautiful box. Okay up first is this rather strange, clear tan mist. So the idea is it gradually builds a natural radiance and glow. They say it's cooling mist is great as a makeup primer and setter. The colourless formula makes it stain free and easy to apply. It's got some fairly good ingredients, Damask Rose, Aloe Vera, Chamomile Extract. Simply spritz onto clean dry skin, allow to dry for a couple minutes and then you're good to go with your makeup or getting dressed. This is probably my favorite thing in the box. I initially thought this was a face highlighter but it's actually an Eyeshadow, although I will most definitely be using it as both. It's beautiful for my skin tone, great for adding a fairly intense glow and would look beautiful all over the lid or as an inner corner highlight. Feels great, no chunky glitter, no chalky feel to it, which makes me keen to try out more of their products. Now this is a great hair savior for those with dry damaged hair that needs some extra lovin'. I am all about multitasking products to cut my routine down that extra few minutes, so this elixir packed with some awesome ingredients is just the thing my hair needs. This acid free, PH neutral protein peel, reveals a new layer of fresh glowing skin in just 3 minutes. It's gel texture binds to dead skin cells forming solids that just wash away. The best part, if that not enough, is that it reduces the appearance of acne scars, dark spots, rosacea and other skin concerns. This is very similar to those new The Body Shop Liquid Peels but it is a more pricey option so there's an alternative in case you are on a lower budget. Isn't included in the life booklet but it's similar to the next one in that it's a dual sided textured cleansing cloth that cleanses, exfoliates and hydrates. On one side you have micro-dots to gently exfoliate, on the other soft cotton lace to remove makeup and dirt. So they come individually packaged, they're good for all skin types and they remove makeup, dirt, impurities and oil. Packed with luxe anti ageing ingredients, and free from oil, alcohol, parabens and sulfates, I am looking forward to trying this little guy out. This is a reusable cloth/glove which has micro-fibres to help remove makeup, impurities and leave skin healthy and glowing. Great for travelling as you only need to use it with water and it's reusable for up to 3 months so no need to worry about replacing it whilst on your travels. Simply pop it in your travel bag and revel in the fact this is a great way to remove your makeup without the need to lug around coconut oil or a separate makeup remover - you can still use them with this cloth but it also works just with water. I am kind of skeptical about these kinds of products but I will be trying it out and will let you know my thoughts. 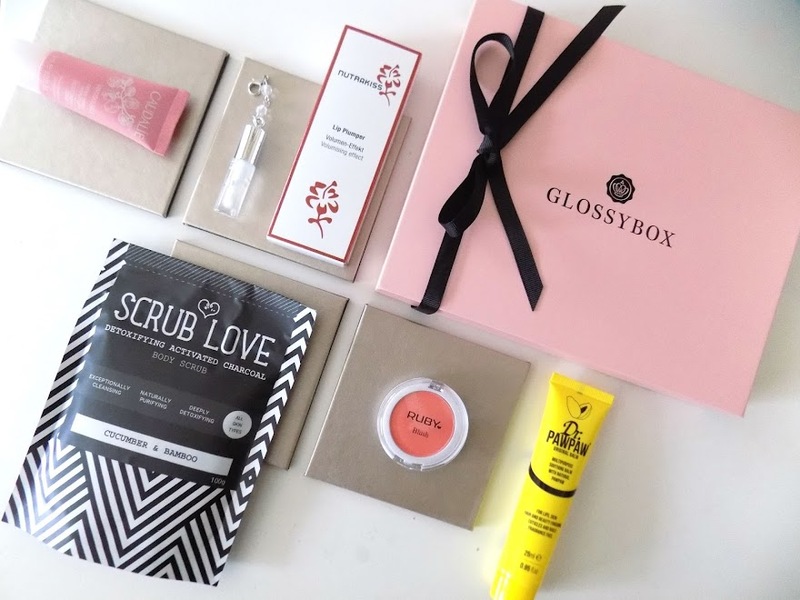 In this months Birchbox VS Glossybox which will be up next Sunday, I received a SCRUB LOVE Body Scrub in my Glossybox. A similar thing happened with last month when I had the same hand sanitizer in my Glossybox and Look Fantastic Box. But at least this month they're slightly different in scents and performance (hopefully). So this is a 100% organic and roasted Coffee with Coconut Oil and Vitamin E to hydrate, Cranberry Oil to protect skin from free radicals, Coconut Flakes to Slough away dead skin, and Cranberry Fruit Powder and Salicylic Acid to help brighten skin. However, there is a spelling mistake on the packaging which is rather amusing but there we go - "Hey Babe, are you read to get dirty?" Should be ready and I would have thought spelling and packaging would have been checked numerous times throughout production and that someone would notice it. The fact that this brand sells on Look Fantastic and is available via Glossybox and other brands, it's not good that they have made a spelling mistake on their packaging but it happens to the best of us. 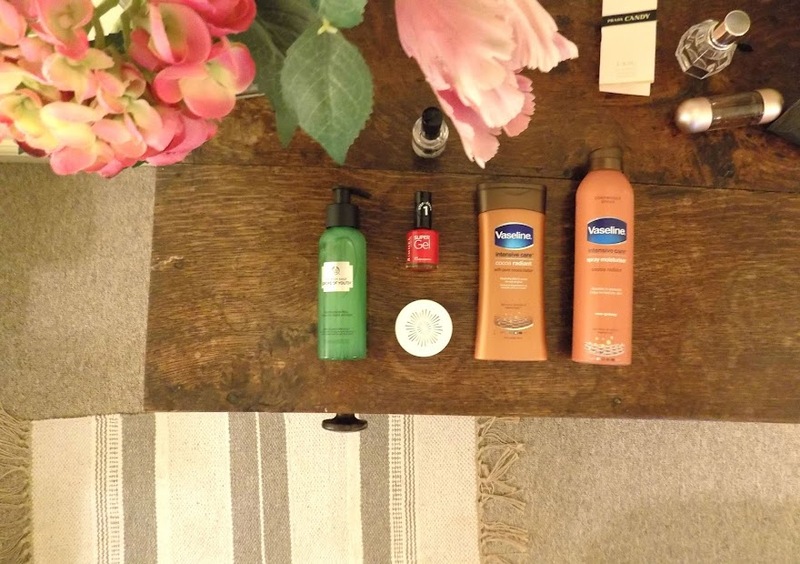 So last month there were some great products which I have really enjoyed using. First the Vitamasques Pomegranate Sheet Mask, which I used pretty much as soon as I got the box, but I have to say although it was nice to use, easy to apply and didn't have an adverse effects with my skin, which is always good, I didn't really notice any differences in my skin. 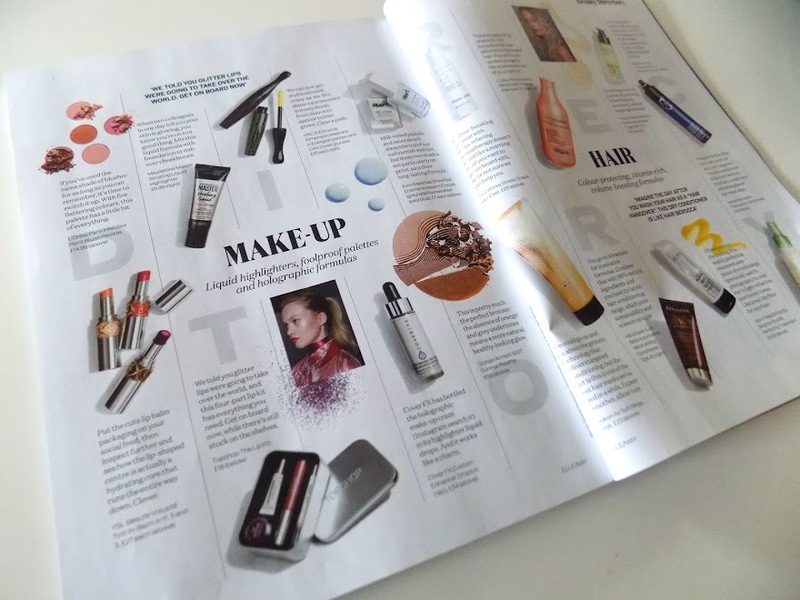 It felt and looked the same, my skincare applied the same as normal and when it came to makeup application the following day, it was pretty much the same. So they're nice to relax for 20 minutes but this one didn't do anything for my skin. The only other product I've used from this box is the Alterna Caviar CC Cream, which is the multitasking hair product. I have really enjoyed using this. It feels lovely in my hair, doesn't weigh it down, and I have noticed my hair looking shinier and healthier, it's easier to brush out and my hair overall feels in much better condition. Don't know if I would purchase the full size as I have other products that do this also, but it's a nice product and it is also going in my travel bag as it's mini and does everything I need in one product. The Omorovicza Cleansing Foam has it's place in my travel bag for when I go on holiday at the end of the month. I know I like the other cleanser from them, so I am keen to try this especially with my Cleansing Brush. I have to say the Laura Gellar Balance & Brighten was way too dark for my skin, even though it's in fair, which doesn't really bother me too much, although I would really like to have a powder foundation for my skin, I have lived without one, but it may be something I look into as I don't wear foundation on a day to day basis, but a powder foundation that's light and doesn't clog pores may be good for adding coverage where needed. Let me know if you like to see an update from the last months box, what I've tried, loved, not loved and anything else I feel necessary to include. 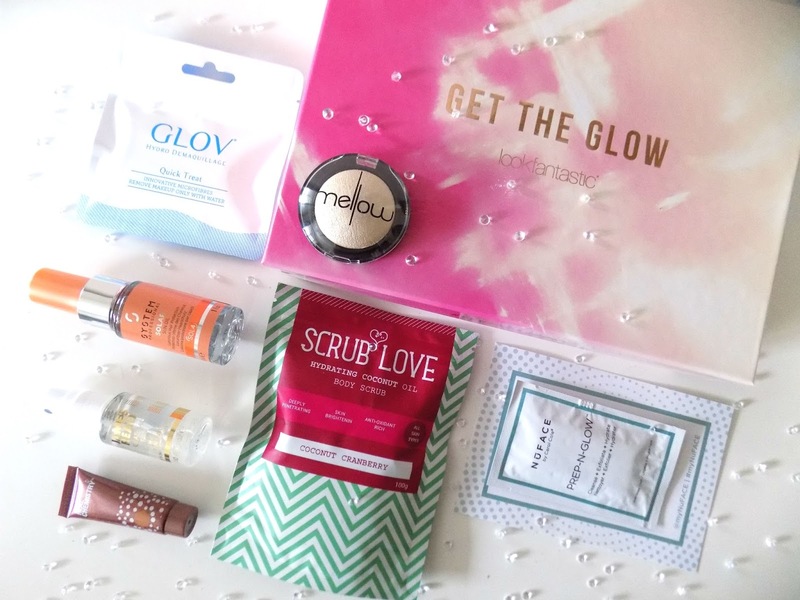 Check out last months Look Fantastic Box here. It's won multiple major awards and is a cult-favourite best seller. 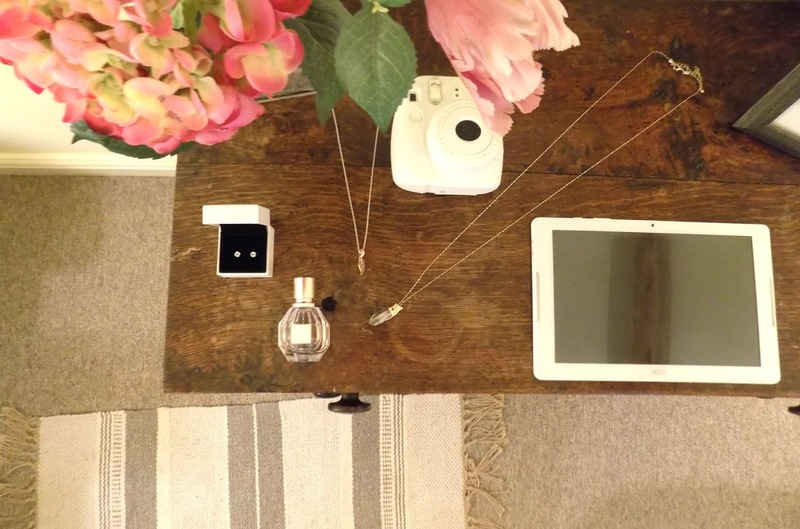 If that's not proof enough that this powder is amazing, then you should keep reading. So what makes this powder better than others? First of all it's super lightweight, which loose powders are anyway, but this doesn't feel like anything on my skin. It doesn't leave my skin feeling dry or cakey, my makeup looks great and although I like to spray a setting spray or something after my makeup has been applied, that's only because I like to look dewy and this powder can look quite matte on the skin depending on how you apply it. But anyway, this is said to be non-comedogenic which is great for skin that can get quite congested when wearing makeup or if you are spot prone. What I love most about this powder though, is the soft focus effect it gives to my skin. It blurs out my imperfections, whether that's fine lines under my eyes or pores around my nose. Even over spots and scars it looks great. How do I like to apply it? So my preferred way of applying powder under my eyes is with a damp Beauty Blender as I find it melts into the skin more, it removes any excess product and I've noticed that my concealer doesn't crease when I use this method of application. I am a huge advocate of the Beauty Blender and think everyone should have one. I also use this same method over any concealer I've applied to the rest of my face. Then, when I am done with my entire makeup, whether I'm wearing foundation or not, I apply a light dusting using the Look Good Feel Better Powder Brush mainly on my t-zone and any areas makeup tends to wear away first. Side Note: This powder is oil-free so although it is marketed for users with normal to oily skin, I find using a Beauty Blender makes it work perfectly even for dryer skin types or areas, especially under the eyes or over the top of any blemishes. But bear that in mind if you have any dry skin. How does it wear on the skin? As I've mentioned before on my blog, I have issues with my makeup looking cakey and separating throughout the day even after an hour of wearing my makeup. Now I cannot put this down to a makeup product in particular, it could just have been the texture or condition of my skin, however since using this powder, my makeup looks practically perfect all day until I take it off. Although there's some that's worn off or just faded, that's nothing to do with the powders performance, if anything it's helped dramatically with keeping my makeup looking it's best. My concealer under my eyes stays in place, no creases, no sliding around, no dry cakey look, this is amazing and makes me very happy as I have had troubles with my concealer under my eyes for a long time and no matter what I tried, nothing was working, but this powder makes it look smooth and keeps it in place all day. What don't I like about this powder? The price is pretty steep at £29, but Laura Mercier is quite a pricey brand anyway, I just feel it's a bit much for a loose powder as the NARS Soft Velvet Loose Powder in Snow is £27 and the Makeup Forever Ultra HD is £24.50, so I guess it's not massively different from other high end powders, but I still feel like for a powder, just under £30 is a lot. I believe you can get a travel size version of this powder which is great if you want to try it out. I personally didn't look for this when making my purchase but I have seen from other people you can get a smaller pot of this which is great for travel as well. But anyway, it is a loose powder so 1. It lasts for ages and you can certainly get your moneys worth. 2. It's translucent so you don't have to get a different shade for the Summer and Winter. 3. It works well, exceeded my expectations and it's a cult favourite for a reason. I have to go there I'm afraid, the packaging. 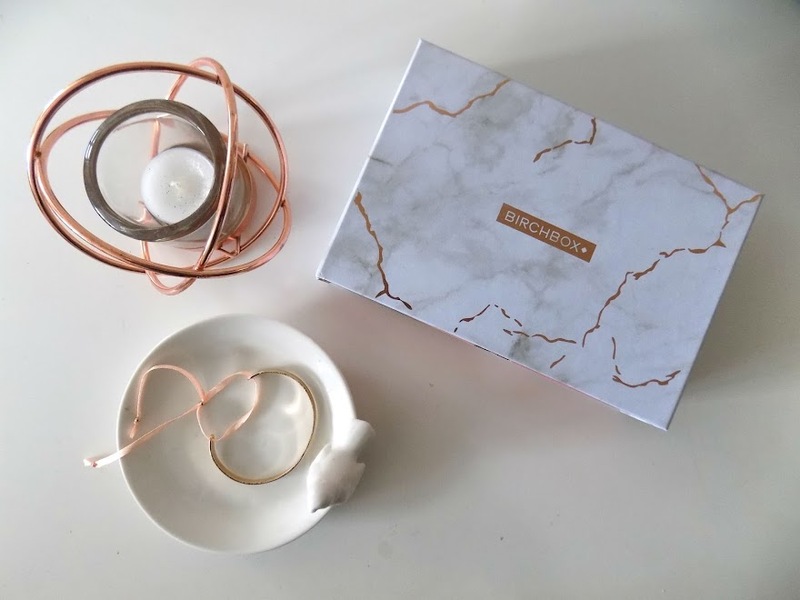 Loose powders are difficult to get right when it comes to packaging. You see a lot now with a sifter, some you can open and close, others you can't. But you can also get ones with like a mesh bit so you just put your brush on the mesh, it picks up product and you use it that way. If I travel with this and it tips upside down in my makeup bag, well boy is it a mess and tends to fly everywhere when I open it. It does give a bit of a dust cloud when opening, and I have found I should never open it over my legs when I am wearing jeans or tights as it makes a mess. It does get onto my other makeup and so I find myself cleaning it a lot more. 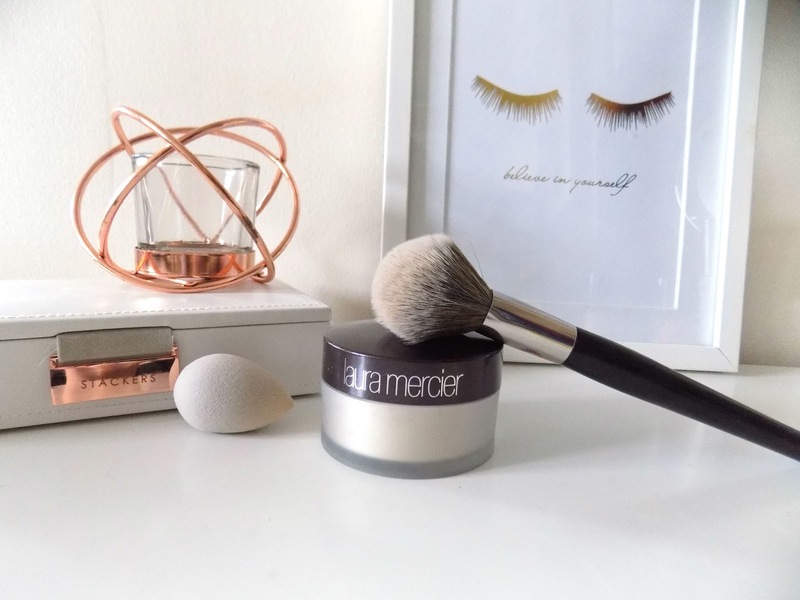 I normally have a towel over my legs now and another one on my dressing table or wherever I am getting ready so I don't make too much of a mess with any of my makeup, but in particular, my loose powder. It is quite a large tub so when travelling I will probably put it into a smaller container, this is where that travel size version would be useful, but I think I will just put it in a little pot and see how that works. Granted there won't be a sifter but I am sure I can manage for a week or so. To be honest, those are the two things I don't particularly like about this product. But the performance, longevity and everything else is perfect and I love this powder a lot. This powder has been hyped up a lot over the last few years, from Beauty Bloggers and YouTubers, that's probably how you've heard about it and why you're interested in it. Sometimes products that are hyped up online and work great for others, unfortunately don't always work for you when you purchase them yourself, but hopefully if you do purchase this you will love it as much as I do along with many others. If you don't, I would love to hear why it didn't work for you. This product, for me, is definitely worth it. Laura Mercier Translucent Loose Powder - Is It Worth It?? Cleansing Brushes like the Clarisonic and the Vanity Planet Spa System have become essentials in many peoples skincare routines whether it's a daily or weekly step. I never had any urge to try one until last year and I purchased a cheap one from Amazon used it for a week or so, found it irritated my skin, threw it out and never looked back. Until now. Recently I've not been happy with the texture and condition of my skin. I had bumps, breakouts, my makeup wasn't looking it's best and I just couldn't figure out what to do. As any person would I checked YouTube and watched goodness knows how many skincare routines and one thing kept popping up, Cleansing Brushes. I did some more research, checked out lot's of reviews and made the decision that I wanted to get one. 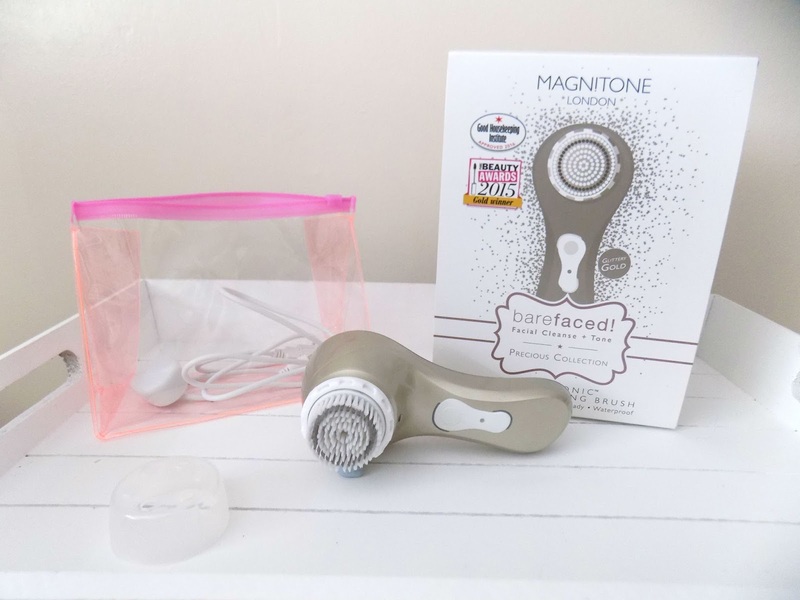 I found some online and decided on the Magnitone Bare Faced Cleansing Brush, I found a great deal, £47.50 on CurrentBody.com which is a Beauty Electronics website. I ordered it from this website on Sunday and received it first thing Thursday morning which I was super excited about. I decided I wanted to give it a fair test before I gave you my thoughts, and so I tested it out for 30 days and now feel confident in the review I am writing. If you would like to see my day to day "Skin Diary" if you will, then CLICK HERE. It's here that I talk about my first impressions, the products I try with it, the condition of my skin and how my skin reacts to it. I've been using it ever since and don't regret the decision to try it out. Is It Gentle Enough For Everyday Use? For my skin, yes. This brush is a Sonic Cleansing Brush, so the brush head doesn't spin, it vibrates and oscillates. It has a regular mode to deep cleanse and a Pulsating mode to tone and lift. An automatic timer tells you when to switch areas of your face, and it turns off after one minute - this is plenty of time for me to do my entire face and neck and still have time left over. It is gentle enough for everyday use, which frankly I didn't think my skin would work well with, but it definitely has reacted much better than I anticipated. There are different heads that you can purchase if you need a different level of exfoliation or a softer brush. So the ones included are the Active Clean, you can also buy Pore Perfection, Silk Bliss, Soft & Sensitive and The Stimulator, all pretty self explanatory, and you can also get a Body Brush attachment I believe too which I am keen on. But I am happy with the Active Clean one for now, although I may get a different one when the head needs replacing. In case you are wondering you can use this brush in the shower or bath as it is 100% waterproof so it's not adding an extra step or time to your normal routine, you can do it whilst your laying in the bath or when you would normally clean your skin. I find that it takes less time using this than it does without or just using my hands or a cloth. What About Keeping It Hygienic? This was a question I was concerned about as bristles and brush heads are prone to bacteria and I don't want to be spreading bacteria all over my face. Well, it comes with a pouch that you can put it in to travel with so it doesn't just flail around with your shoes and underwear, along with a plastic protector that goes over the brush head, which has holes in to protect it from external aggressors like dust and bugs, but also so that it can dry without needing to be just laid there on the side of the bath. DON'T LEAVE IT IN THE SHOWER! Just don't. It won't be able to dry properly, which means it will harbor bacteria, start to smell and you just don't want to be rubbing that all over your face. You do have to change the brush head, I haven't had to yet obviously but I would probably play it by ear, wouldn't leave it longer than 3 months and when you by the heads, you normally get two in a pack (from what I've seen) so they will last you 6 months in total. I clean my brush after every time I use it, but a good deep clean is a good idea once or twice a week. I use hot water, and a gentle soap or cleanser to get rid of any residue, makeup, bacteria or build up. Remove the head and ensure it's clean behind and around the whole brush. Well you charge it up via a USB port so either from your computer or I guess you can plus it in to your iPhone adapter. It's a magnetic charging system so you have a USB lead, a little magnetic stone type shape thing and you just attach it to the bottom of the brush, plus it in and away it goes. I charged mine for about 15 minutes when I got it (although it came already charged) and I haven't had to do it since. What Did It Do For My Skin? Ahh, the results. My skin has never looked so healthy and glowing. Even after the first use, my skin felt so clean and so soft and so smooth that I couldn't believe it. I continued to use it everyday whether I wore makeup or not, and my skin just felt amazing. After a week I couldn't believe the change in my skin. My skincare was able to work better, it looked radiant and healthy, my makeup applied and wore better than ever before, and it cleared up breakouts and blackheads that I had been suffering with for a while. After the first week, I was hooked and couldn't wait to use it every night, as I craved my skin feeling so smooth and clean. Although I didn't use it to primarily remove makeup, after I had taken off all my makeup (or so I thought) I would use this and there was still remnants of makeup left on my skin. Now don't get me wrong it wasn't a lot of makeup left over, but in areas I had missed or what my hands couldn't get from in my pores, this was the source of my breakouts, and deep cleansing was what my skin needed. Even now as I write, I love the results, my skin has never looked clearer and on a day to day basis, I go foundation free. Foundation free? I've never done that before, it's always been a key step in my makeup to even everything out, but now, my skin just doesn't need it. To find out what I learnt from going foundation free, check back next week. What Do I Use With The Brush? Many people think that you need to use a cleanser that foams or lathers up, but this isn't the case. I find that these kinds of cleansers dry my skin out whether I'm using a cleansing brush or not and as I have sensitive skin (although not as sensitive as I once thought) I wanted to keep it as gentle yet effective as possible. So initially I used it with my regular No7 Melting Gel Cleanser that I have used for about a year, but I switched to the Deep Cleansing Fix from Nip + Fab which is a cream texture that really deep cleans and removes makeup (smells and acts similar to Liz Earle Cleanse & Polish) and it comes in a great big pot that's going to last ages. The No7 Cleanser is still a great one to use, it's gentle, it's not abrasive and it cleans the skin which is what is important. 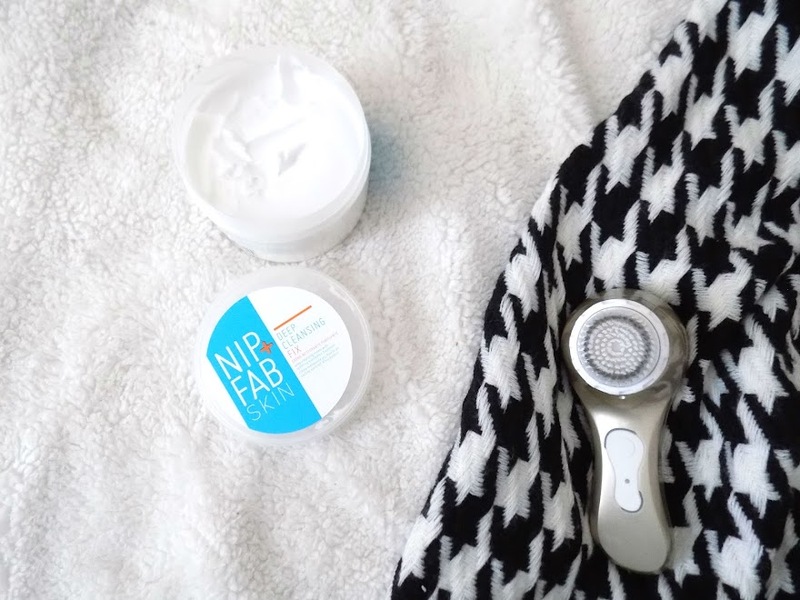 But I felt I needed something that would do that little bit more for my skin, and I saw the Nip + Fab Deep Cleansing Fix on their website and was immediately intrigued I love their products already and hadn't seen this before - you can see my review on this HERE. But the short version is that it deep cleans, melts away makeup, lifts dirt and impurities, nourishes and revives the skin but also banishes blemishes. Amazing right? I have seen others use this brush with the Philosophy Purity Cleanser, La Roche Posay Cleansers, there is also some great ones from the drugstore like the Soap & Glory Facial Wash, Sanctuary Spa Moisture Burst Facial Wash, and a new Gel Wash from Garnier. So there are lot's of options, but I am really happy with the one I'm currently using. What Tips Would I Recommend To Others Adding This Into Their Routine? 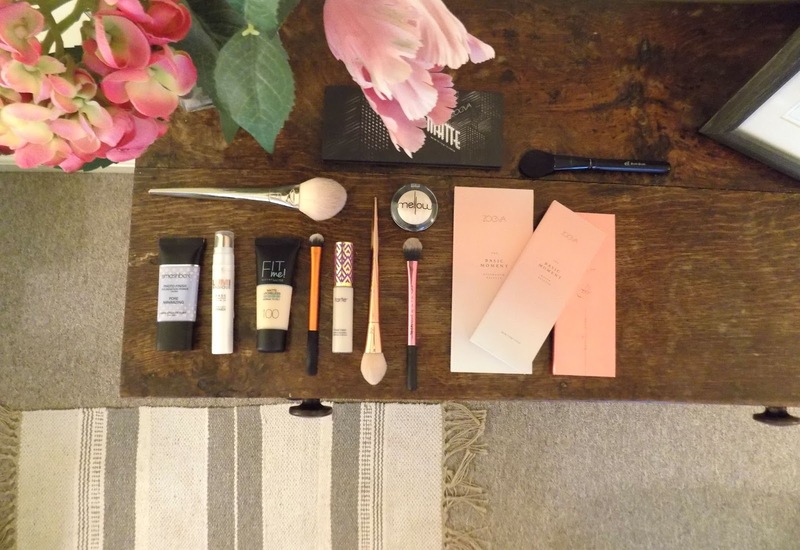 - The main thing I would say if you are looking into adding a cleansing brush into your routine is to get one designed to be used everyday so it's gentle, especially if you have sensitive skin. But even if you don't, you don't want to get something too harsh that you can only use once a week (unless that's what you want from your brush then that's fine). - Ensure you can get different brush heads so that if the original one is too harsh you can swap it for a sensitive skin appropriate option. - You don't have to get a super expensive Clarisonic or something to get a good quality brush. Once you find one you like, look for discount codes so you can save a bit of money. - Although I saw results straight away (the condition of my skin must have been as rough as an alligator or something), you may have different experiences and you may not see results straight away. Everyone's skin is different, but that doesn't mean you've wasted your money, continue to use it as many times as you see fit, maybe every other day, once or twice a week, it's up to you. - Do a 30 day test diary type situation like I did and you can look back over what you noticed in your skin since using it, i.e. texture, softness, how your skincare works, your makeup application and wear time. Log everything you feel is worth noting. - There is such a thing as over exfoliating. I wouldn't recommend using it twice a day, only once. Whether that's in the morning - let's say you go to the gym or workout in the morning and want to get off any sweat or dirt for the rest of the day, then using it in the morning is a great idea. If you wear makeup on a daily basis and feel your skin gets congested or needs a deep clean then using it at night once you've removed your makeup is the best option. Using it twice a day may be too harsh for your skin, but only you can determine this. - Some people prefer manual brushes over sonic or spin brushes. If you find that bacteria build up is a major issue for you and you just don't want to risk it and have the responsibility of cleaning it thoroughly, a silicone cleansing system is a good option for you as the silicone is not something bacteria likes to breed on and the bristles are a lot shorter, a lot more gentle and again you can get different options like sensitive, deep cleansing etc. I LOVE IT. Yes I would recommend it to everyone, I already have multiple times, and I will 100% continue using it. I love how it makes my skin look and feel. I am really happy with my skincare routine and how my skin looks and feels and I definitely want to keep up with it. A lot of common feedback when reading reviews on Cleansing brushes is the purge stage, but I have to be honest I didn't have any issues with this. It did the opposite and got rid of my blemishes and did a damn good job at improving the overall texture of my skin and gave me a healthy glowing complexion. Which of course gets a thumbs up from me. Final answer? YES! 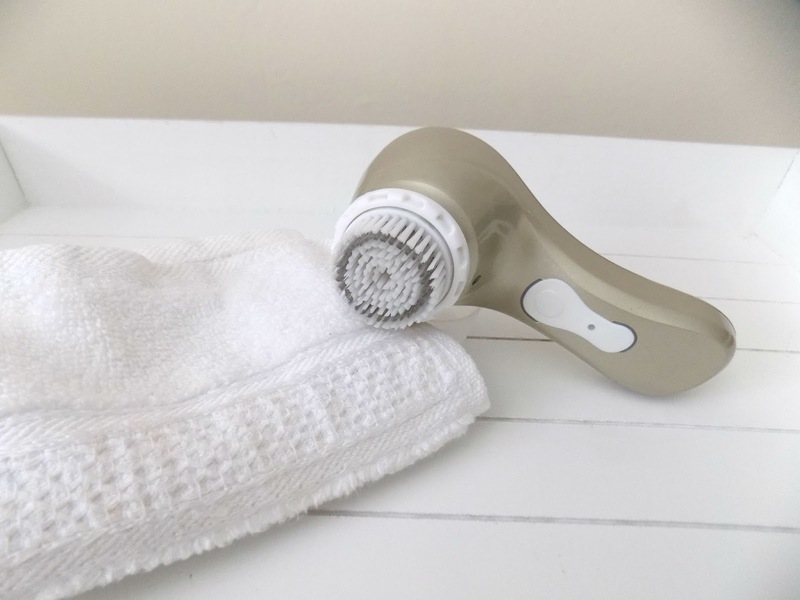 100% I think it's worth every penny and I can see why people say they love the Clarisonic, I just think this is a much more affordable option that works (I can't say for definite as I've not tried the more expensive ones) but yes it's worth it for me.